Guys, I’ve been waiting for this day all year! 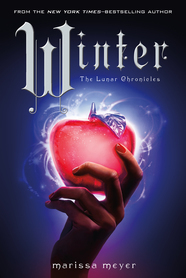 It’s the release of Winter–Marissa Meyer’s final book in The Lunar Chronicles. If you’re a fan of YA fantasy and you haven’t had a chance to read this series, you go read it now. That’s an order. Then report back here and gush about it because it is just that awesome. I will be picking up my copy today! So excited!